The Ganzhorn Suites dementia care facility dedicated to providing education and support for our family members, as they are an important part of our care team. We know it can be a difficult journey, so we strive to provide families with information and resources to help them cope with the changes in their loved one. 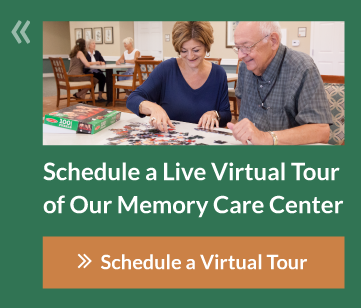 Together, we can find a deeper understanding of the stages and processes of memory loss and offer successful caregiving strategies for managing Alzheimer’s disease and other related memory disorders. Our dementia care center makes sure to put you and your loved ones first. We understand that your entire family is impacted by this disease. We offer support for spouses, adult children and any others who are close to a resident with memory loss. You will be invited to participate in numerous seminars and support groups to enrich your experience with us. For information and other resources that may be helpful to you, please visit our Support page. 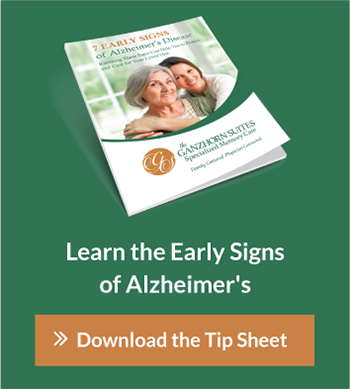 The expert caregivers and staff at our dementia care facility have compiled a list of useful websites that discuss how to self-diagnose for mild dementia, what Alzheimer’s disease is, and the role Alzheimer’s disease will play in your family.